Not only is growing a beard an expression of your personality, it also happens to be a major commitment. Unfortunately, beards do not take care of themselves any more than your grass or landscaping. With a little TLC and proper maintenance, your beard could be looking sharp during any time of the day or night. As you have learned in the article Men’s Beard Styles, there are many types of beard styles and each one requires different maintenance. Whether you like to keep it long and thick or short and thin, find the style that works for you and stick with it. Stay Trimmed – Even if you prefer a long beard, it is recommended that you give it a little trim about every 8-10 weeks. Just like the hair on top of your head, your beard gets split ends that need to be trimmed off. If you prefer a shorter beard, it is recommended that you trim it every 2-3 weeks. If you are in search of a great trimmer, feel free to check out Best Stubble Trimmer for great tips and ideas. Aftershave Advantages – If your face appears dry after you have trimmed your beard and shaved the hair that is no longer wanted, feel free to use a small amount of aftershave. It will moisten your skin while leaving a pleasant scent. Be sure not to choose a scent that is too strong or overpowering. Remember, less is more. Use Beard Oil – The best beard oil to use on your beard is one that is clear. A clear oil will allow you to see exactly what you are shaving so you can create the exact look that you desire. Beard oil will also help keep your beard from developing dandruff. Keep it Clean – Many men do not think to shampoo and condition their beard. Rubbing soap through it does not work because it will dry out your beard and give it a wiry feeling. Just like the hair on your head, regular shampoo works the best. After you have shampooed your beard, be sure to condition. If you do not use leave-in conditioner, consider leaving regular conditioner on your beard for a few minutes before rinsing it out. Properly washing & conditioning your beard at least 3-4 times a week will help keep it healthy and prevent it from turning brittle. 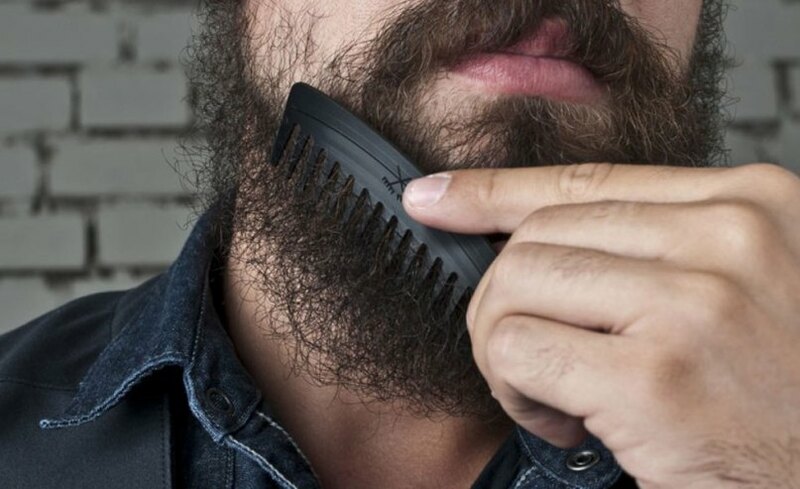 It is a great idea to run a comb through your beard to keep it tangle-free. It is common to use a very fine, thin-toothed comb for the best results. Don’t be afraid to express yourself and change your beard type every so often. A beard that is properly cared for and well-maintained is sure to look great on any man’s face. How Often Should You Wash Your Beard?